The children in Year 4 have finally heard back from Young Writers regarding their nonsense poems that they wrote for their Poetry Wonderland competition. All of the children are super happy and excited as they have ALL been successful. 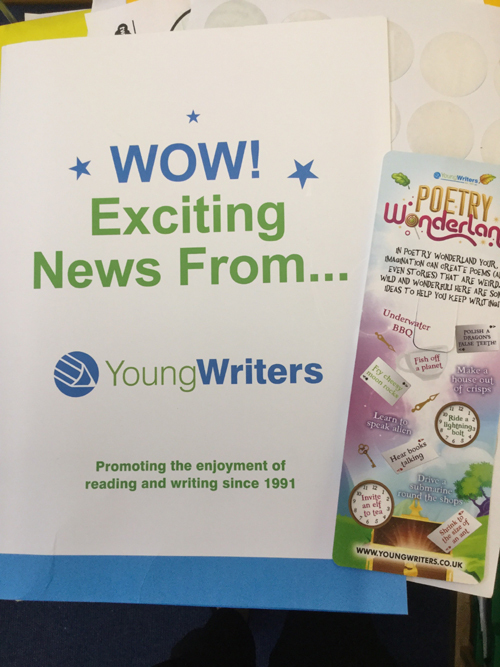 Every child’s poem has been chosen to be published in the Poetry Wonderland book! The children received a bookmark, a sticker and a certificate to congratulate them. Well done Robins! You all worked really hard on those poems! Please can I remind parents that without the permission slip either returned to school or sent off in the post to the company your child’s poem cannot be published. This was so fun writing are poems.